Laser Eye Center is committed to offering the latest and most advanced laser vision correction methods and technology to our Los Angeles patients. We are pleased to add the innovative Alcon WaveLight EX500 Excimer Laser to our All Laser LASIK technology repertoire. The EX500 is the newest and fastest laser system available in the U.S. that enhances the precision, reliability and safety of laser vision correction. The EX500 replaces its predecessor the EYE-Q laser, also manufactured by Alcon. It combines a number of innovations to enhance the success of treatment and visual results for patients. Faster treatment. The EX500 is the only excimer laser in the U.S. to operate at 500 Hz, making it the fastest laser available. The average treatment time with the EX500 laser is approximately 1.4 second per diopter. For patients, this means spending less time in the treatment chair. Enhanced precision. The EX500 uses Alcon’s Perfect Pulse technology, which ensures that each laser beam is precisely calibrated to safely and precisely sculpt the cornea. The excimer laser also features a multi-dimensional eye tracker that is able to follow the eye’s smallest movements — up to 1000 times per second! If, at any time, the eye moves out of range or too quickly to be measured, the laser will wait for the eye to move back into position. This ensures the correct placement of each laser pulse, enhancing the precision of All Laser LASIK treatment. Less risk of complications. The laser’s fast speed decreases the risk of the cornea drying out during treatment and consequently swelling afterwards. This results in increased comfort during treatment and a shorter recovery. In addition, the EX500 uses wavefront-optimized technology to automatically compensate for the curvature of the cornea. This reduces the risk of the patient developing halos or glare in low-light conditions after treatment. Broader range of treatment. The precision and accuracy of the EX500 allows it to offer a broader range of treatment, including the highest levels of nearsightedness, farsightedness and astigmatism. The EX500 may also be able to treat patients who were previously told they were not candidates for All Laser LASIK. Better visual outcomes. The EX500 combines enhanced wavefront-optimized technology with advanced laser beam precision to produce customized and overall better visual results than with previous lasers. In many cases, treatment with the EX500 results in 20/20 vision or better. Get started on your journey to clearer, crisper vision with Laser Eye Center. Our expert team of doctors are trained and skilled in the latest technology and methods for laser vision correction, including the EX500. 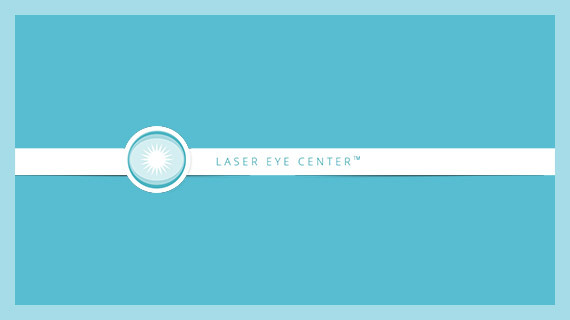 To learn more about our state-of-the-art All Laser LASIK technology or about All Laser LASIK itself, contact us today. Schedule your FREE All Laser LASIK consultation by calling (800) 80-LASER (52737) today.